Red Comet, an accredited, self-paced, online high school, launches a credit course on Veterinary Science. Red Comet launches a brand new elective course titled “Veterinary Science: The Care of Animals” to supplement its existing curriculum. Veterinary Science is a part of everyday life for many students with pets. Many students’ lives are affected by not only their own health but also the health of their pets. In an elementary school survey, one of the most popular careers that students chose for themselves was that of a veterinarian. As animals play an increasingly important role in our lives, scientists have sought to learn more about their health and well-being. Taking a look at the pets that live in our homes, on our farms, and in zoos and wildlife sanctuaries, this course examines some of the common diseases and treatments for domestic animals. Toxins, parasites, and infectious diseases impact not only the animals around us but also humans. 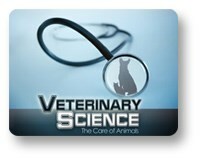 Veterinary medicine and science helps the prevention and treatment of diseases in animals that we care for. Red Comet offers a complete online program that is both rigorous and engaging. Red Comet is approved by the Office of Superintendent of Public Instruction (OSPI) in Washington State as a “Multi-District Online Course Provider” and as a “Multi-District Online School Program Provider.” Red Comet’s online program excels not only in the breadth of its offering but also has received the best ratings for student satisfaction in Washington State. Red Comet’s online learning is engaging and presents even the most challenging topics in a way that students can understand. Students taking Red Comet's online high school classes are challenged using a variety of learning techniques which makes learning interesting while keeping them motivated to complete their courses within the allotted schedule. Students from all parts of the country utilize these classes. Core subjects covered include Science and Language Arts, as well as Social Studies and Mathematics. A number of electives are provided as well. Some students utilizing Red Comet are in public high school but can’t physically attend all high school classes, while some others are athletes with demanding schedules. Some students need credit recovery while others are looking for classes in AP (advanced placement) or electives. Some students are holding down part time jobs while some are home school high school students.